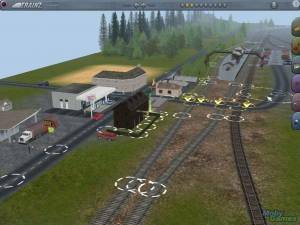 RailWorks 2: Train Simulator is an updated version of the original RailWorks. For owners of the original game it was made available as a free download. The basics of the game are the same. The player gets to drive a number of different trains (both steam, diesel and electric ones are available) across different routes (nine in total; one more than in the original). The routes can be played in a free roaming mode but also in relation to scenarios where the player has to follow different objectives. New to RailWorks 2 is a career mode which consists of scenarios where the player can measure his performance against a set of criteria. The player can then share and compare his results with those of others. Factors that could impact the result negatively include speeding, excessive fuel usage and not keeping up with the time tables. 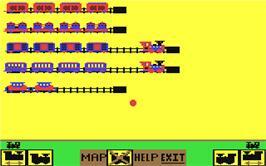 The trains can be driven with both simple and expert controls. 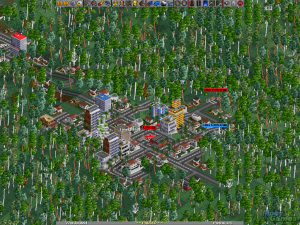 In the simple mode much is automatized and the player can focus on three commands: speed up, slow down and change direction. The expert mode is more complex but also offers greater flexibility. Here the player has to increase or decrease the throttle, reverser and brakes. New in RailWorks 2 is the graphical user interface. Previously the player has had to use memorize keyboard commands or to directly manipulate the controls in the cab. Now all the different levers and buttons are directly available from the GUI. The interface also shows important information about the train and the track ahead.